There are two two version of jquery one is 1.x (like 1.9) which support in IE 6,7,8 but 2.x (like 2.0) does not suppport IE 6,7,8.It is highly recommended to use 1.x version for its IE support. Everything Start with Jquery() methods.Dollar symbol($) is its shortcut.Basically within this method we select a element from dom..Within the parenthesis in single or double quote we write selector like css.Then done further operation using dot notation. Do ever write css.Then you familiar with selector like type/tag seclector,class seclector,id selector. Everything works on jquery selector. Jquery work left to right.You can add mutiple function into a single element using dot notation.In above,we grab p tag first then add color and background to its using css() method.Notice we write two css() method one after another concate them with dot(. ).That is chaining or dot notation.You can add multiple method to selected element using dot notation. Explanation:Its make clear in commets what they are doing.Make a html page and apply this method.Most of the time we hold output of selected element into a variable then alert to browser.This is demonstration only,in real project we learn more. Suppose we have a ul and its has several li .Now we can add new li at the end of the ul by using append .Prepend does opposite work.It add element at the beginning of selected tag. In addition, you can move a tag from its current position to another position by using appendTo() for appeding at beginning and prependTo() for adding at the end of target element or tag. In attr method if we just give attribute name it will return that attribute value.For setting a value in attribute of a tag (like setting a src value of image tag).For that, write attribue name in first parameter and in second parameter give a value.We can also remove attribute from a tag by using removeAttr() method ,just give attribute name as a parameter in the mathod.Similarly to removeAttr, removing a class,removing property from object can also be done.If we remove a class then we definately add class to a tag. IN search engine battle <a href="http://www.google.com">Google</a> dominating market.<br><a href="http://www.yahoo.com">Yahoo</a> is followed by google.<br>Its search engine is <a href="http://www.bing.com">Bing</a>.There are other search engine in the market. Explanation: each function accept two parameter first one is index position of current element seond one is its value.we can give a function name in each for that we have to define first.But instead of that we use a annoymous function.Remember each is a loop.each time a new anchor tag found function inside each() will execute.Here we just grab the href of anchor and append to a div. 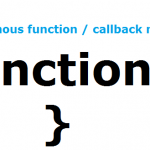 An anonymous function is a function without a name.The point of anonymous functions is that you use them only once instead of having to define them somewhere else (for reuse). It is neat because they are right where they are to be used (in a certain context). Anonymous functions are convenient to pass as an argument to a higher-order function. can you guess what hide() and show() method does? They are responsible to hide and show selected element.Both of them take milisecond as a parameter.If given hiding or showing action will complete within that milisecond.If 5000 (5 seconds) given as hide method parameter than element will hide start hidding and will completely hide in 5 seconds. slideDown():Does opposite work and it gradually become bigger if element are hidden or slideUp. fadeOut(): Opposite of fadeIn. selected element willl gradually disappeardelay():It waits certain amount of time.After that,start execution rest of method under current selector. Untill now we write all of our jquery code at the end of body tag.So first browser display html then execute jquery.But if we write this code into the head then it does not work because browser first execute jquery and it does not find any html tag to implement because html not render browser yet.So we have to run our jquery code when everything finished loading in other words,when document is ready. If we run our jquery code inside ready methods annonymous function then our code only run when document or webpage is ready.It does not matter where to include jquery code in head or at the end of body. jQuery makes it straightforward to set up event-driven responses on page elements. These events are often triggered by the user’s interaction with the page,like validated form input data while user click submit button or give user auto suggestion while typing on search box.jQuery offers convenience methods for most native browser events. These methods — including blur,focus, click, keypress ,keyup, keydown, hover,Mouseover,mouse enter,mouse move,mouse leave,dbclick,change. 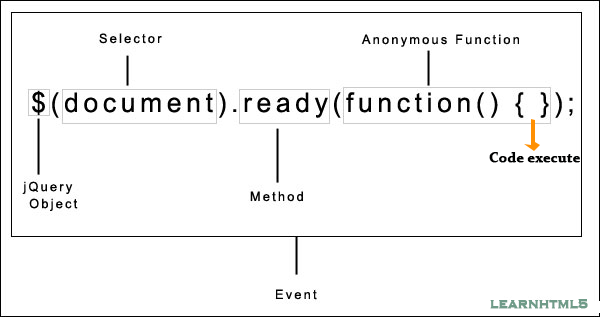 Every event in jquery run by on method.It takes two parameter. First parameter is event name (as string) like click,blur.We can bind multiple event at a time fo that seperate them with space. 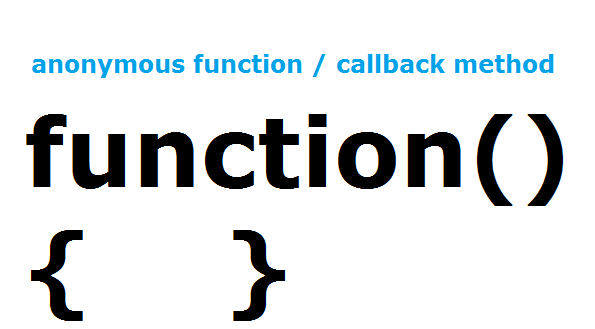 Second parameter is object or data which will be run when this event happen.Generally we give an annoymous function as a second parameter and wrap all of our code within this annonymous function.These annonymous function automatically execute while bind event happen. Explanation:While typing on the input field, each time releasing a key will trigger annoymous function within on() method .Withing annonymous function first of all hold value of current input field within a variable .Then insert saved value in next span tag.Here i use this and next as new. $(this) means current selected element. prev(): means previous that will select previous tag of current selected tag. children(): will select all of the children of current selected tag. siblings(): select all siblings of current tag.siblings means sister and brother. has(): Reduce the set of matched elements to those that have a specific child given to has parameter. :header selector select every heading like h1,h2,h3.. There have a list item with class programmer.Firstly, we select that item then select this parent by parent() method.Then add a class to its parent.In line 6 ,we select every child under ol but not those child who has a class .programmer.Next and prev will select the next and previous tag of currently selected tag.On line 17,we have a language list.first of all select li those have class int and then add font-weight bold to its siblings not itself.In line 19,select those li only who have a ul as a child.Finally,even and odd are doing same work as their meaning. Now lets make something more interesting. Suppose in a web page there have a restricted area.When mouse enter that area it will give us warning and when mouse leave it also give us notification. Firstly,hide the move div because it should only appear when mouse in restricted area and it moves along with mouse untill it leave that area.When mouse enter into restricted area then we insert some text into current children which is a paragraph tag. After that,we trigger another event which is mouse move.This time we show a div contains a image and some text just under the mouse.we detech mouse exact position by using pageX (mouse left position) ,pageY(mouse top postion). Notice our moveable div css position set to absoulate.That means we can move this div anywhere without interfere others. We also trigger an event when mouse leave that restricted area.This time we write a message and hide the moveable div again. See events.html file on downloaded folder.There have most used events and its example. setInterval() and setTimeout() is a javascritp native methods.Set Interval method trigger a event automatically, again and again after a specified time.setInterval takes two parameter first one is code to execute every time and second one is how long it waits to trigger each event.If 5000 miloseconds (5seconds) is given to its parameter then this function will trigger every 5 seconds. On the other hand,setTimeout() method works only once after the specified time given in parameter.In above example, we run alert after 5 seconds.This alert trigger once only.You can do other task compatible with your web apps. Jquery has a well documentation and learnig center.For beginner it would be hard to decide from where to start.Jquery documentation only teach you what thier functions and methods does not teach you how to apply them in real life project like creating a slideshow,dropdown menu,image zoomer and so on.In next tutorial i will use this tutorial knowlege build some practical project.